Alexandria is a city and the county seat of Douglas County, Minnesota. 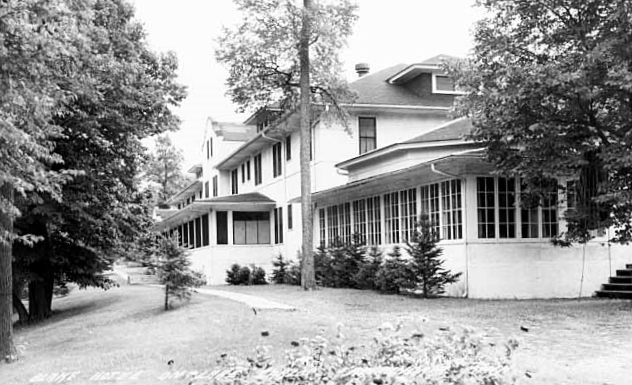 First settled in 1858, it was named after brothers Alexander and William Kinkead from Maryland. The form of the name alludes to Alexandria, Egypt, a center of learning and civilization. The city is often abbreviated as "Alex" (pronounced "Alek"). 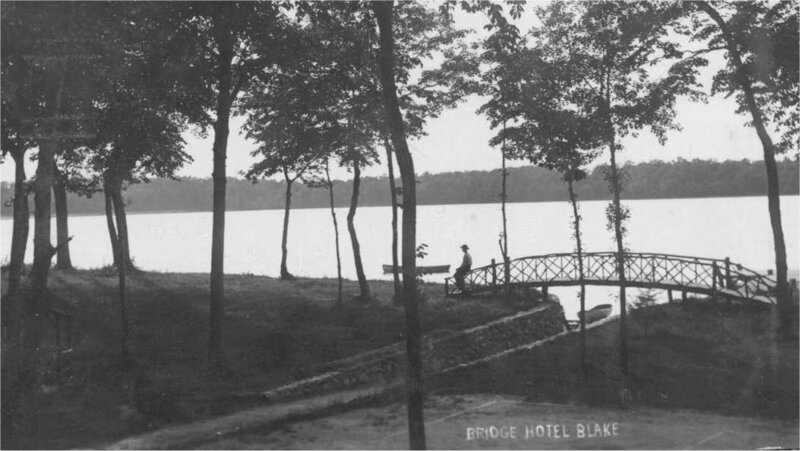 What began as the Blake Hotel - once one of the finest resort hotels in the country - is part of Alexandria's rich history. 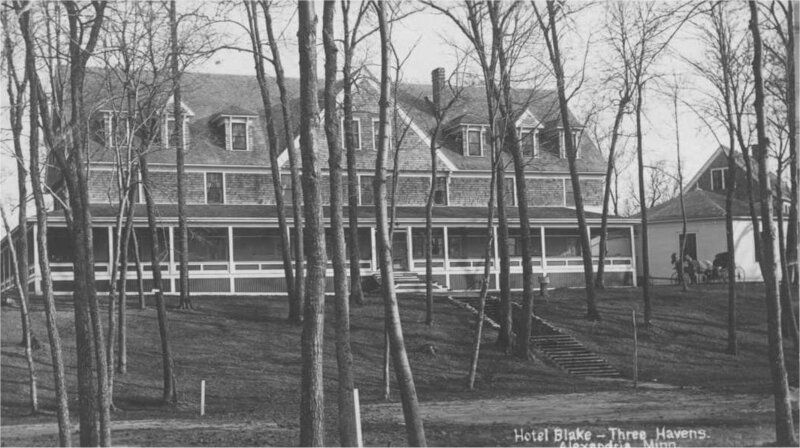 John Blake opened the hotel for business in 1903. He sold the hotel to A. J. DuBeau in 1923. The price: $30,000. 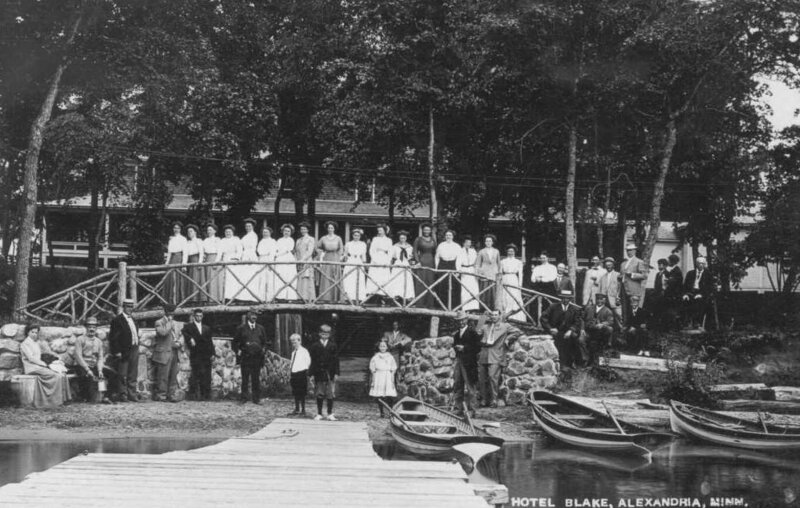 DiBeau changed the name to Blakes by the Lakes and ran the hotel until 1947, when it was sold to the Awes family. The hotel was a hospitality industry success. Early clientele came to Alexandria by train and automobile from all over the country, with maids and trunks of clothing. The Blake Hotel guest register included famous names such as Drs. Will and Charles Mayo of Rochester and other famous Mayo Clininc doctors. Clarence Darrow rested at the Blake Hotel following the Leopold-Loeb trial. Actress Rosiland Russell and her husband were once guests. For the men, many days were filled with guided fishing expeditions to area lakes, almost always yielding a full-limit catch. Golf was another importnat men's activity. The women socialized and shopped at the small shop set up in the hotel by Young-Quinlan of Minnespolis, which also sponsored style shows. 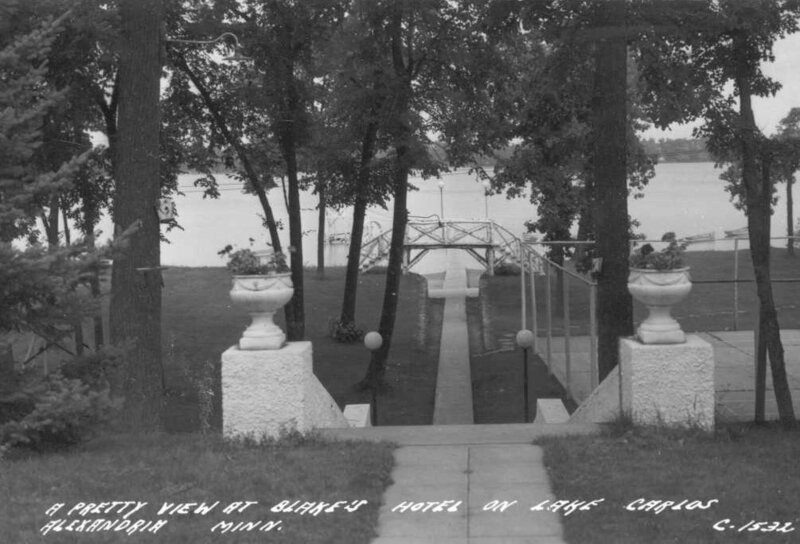 The large swimming and diving platform provided hours of water fun for the families, most of whom were escaping the heat of the southern United States. At its peak, the main building, which was 102 ft. by 38 ft., housed 80 guests. Four cottages were added: Oriole, Wren, Robin and Bluebird. Later, a log cabin on the premises was turned into a honeymoon cottage and named Hummingbird. In 1925, rates were $10 a day (American Plan). They were increased in the 1930s to $15, then to $25. For this, guests ate three delicious meals a day in a dining room built around a tree and overlooking Lake Carlos. 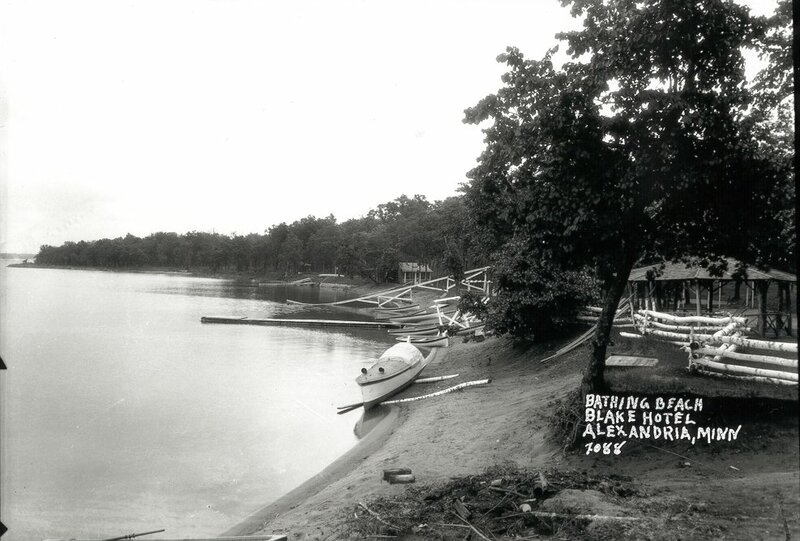 Two nights a week there were fish fries at the DuBeau property on northwest Lake Carlos, now the Luther Crest Bible Camp. Saturday nights featured a dance, for which everyone wore their finest, and a sumptuous buffet supper was served at midnight. 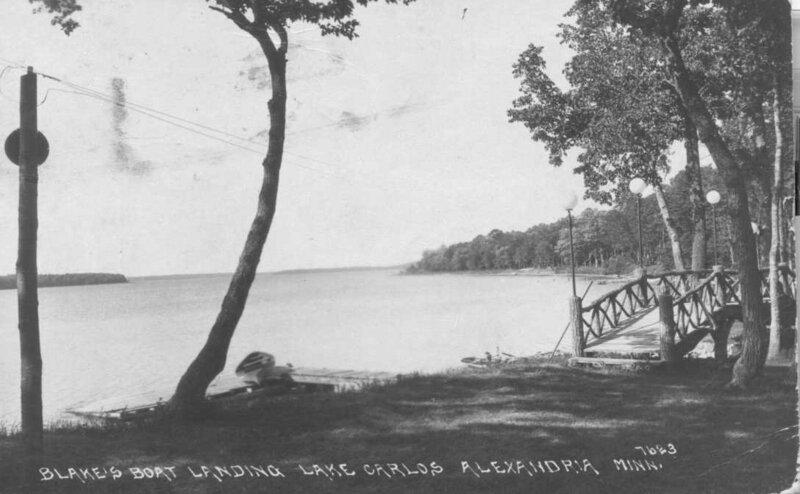 And Then Came Summer - Alexandria Remembered summarized the Blakes by the Lakes history quite succinctly: During all those years it achieved fame and fortune, was destroyed by a disastrous fire on July 21, 1920. It was immediately rebuilt. It finally came to an inglorious end - a ghostly wreck of rotting timbers in a sea of weeds. The final closing was in 1967. 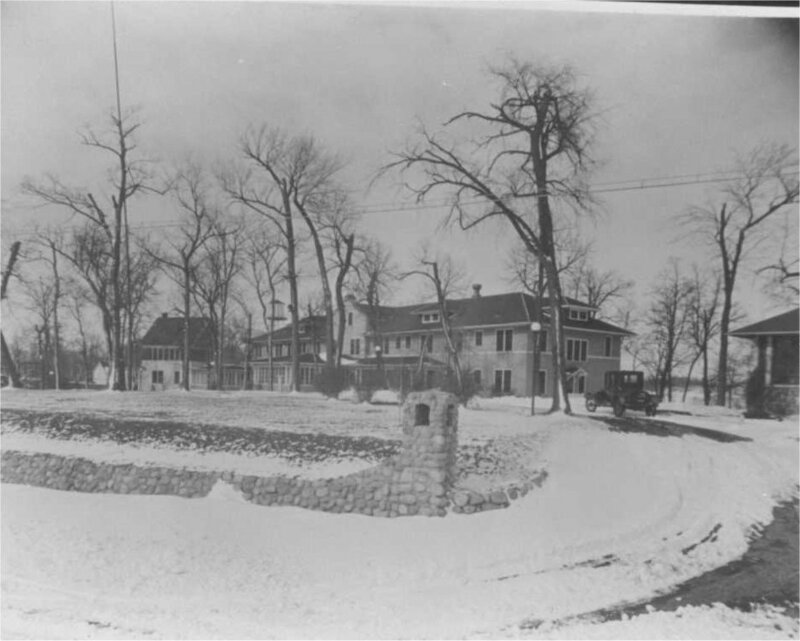 The new era of Blakes as a private townhouse community began in the fall of 1971 when groundbreaking ceremonies were held for the Blakes by the Lakes townhouses. Original plans were to build a complex with 54 living units in nine townhouse buildings. Plans called for units with two different price tags: $33,500 and $39,000. Blakes today consists of four buildings with 28 living units. What remains of the historic hotel? The stone staircase, descending toward the lake from the north end of building two was how early guests went from the hotel to the waterfront. The shuffleboard game at the bottom of the stairs, a popular recreation for hotel guests, also remains. The tennis courts in front of building one were finally removed in 2014. The stone wall along Highway 42 was buit by craftsmen during the heyday of the Blakes Hotel. 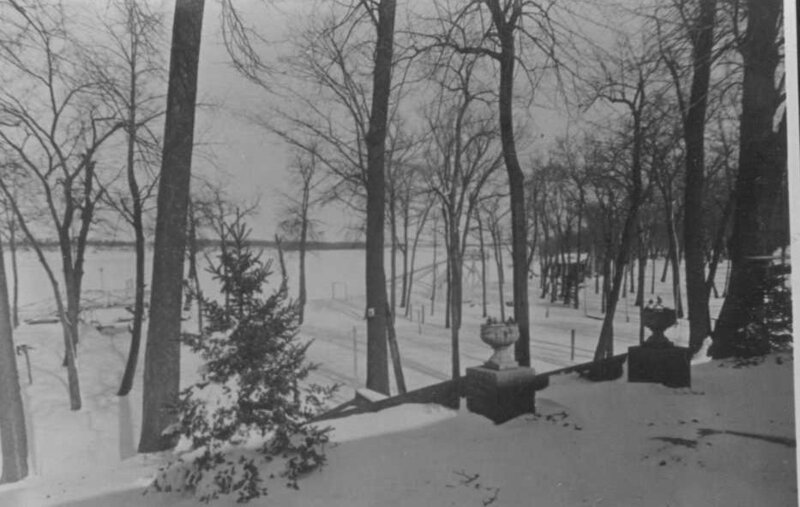 Many trees still on the property stood when the hotel was operating.